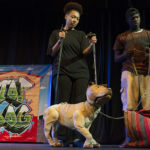 Adapted from A Dog’s Life to cover aspects of dog fighting, a new dog Champion takes over Wafi’s tale of life on the street, and finds out what alternatives exist for a pit bull terrier who is down on her luck, besides the stereotype of gangs and fighting. Champion and the homeless boy John, find a new way to discover their own power and become entrepreneurs, helping to improve the quality of life for dogs in their community. Top Dog is 45 minutes in duration and is suitable for Grades 4-7. An accompanying drama skills workshop is also available. Top Dog, directed by Vincent Meyburgh was commissioned by IFAW in 2013, in light of escalating incidents of dog fighting across the country and the lack of understanding of the severity of the situation by not only the public, but law enforcement agencies too. Jessica Mias-Jones and Andy Jones of Shrinkray and formerly Handspring Puppet Company designed and built the Champion puppet. 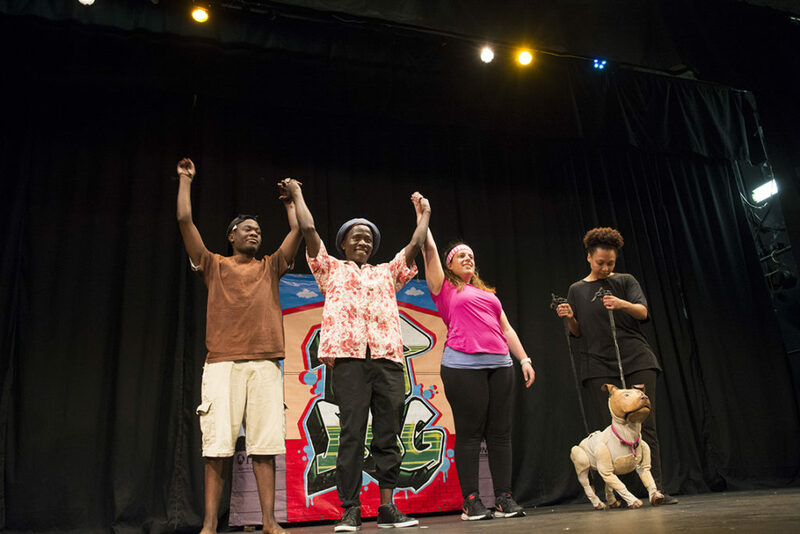 The first tour took the cast to Soweto with CLAW (Community Led Animal Welfare). The show was also performed as a twinnings programme at the Masque Theatre in 2018 for a total of 660 intermediate phase learners. Siyawandisa Badi, Nicola Date, Seiso Qhola and Joce Engelbrecht.